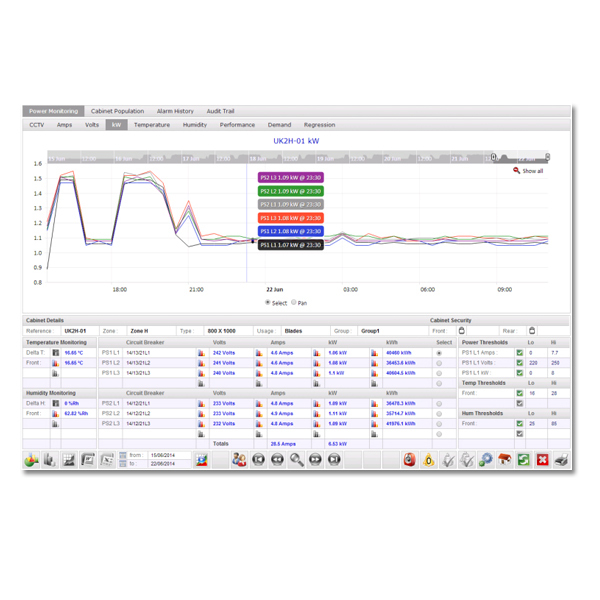 Sensorium™ DCIM is a powerful, flexible and cost effective DCIM solution. 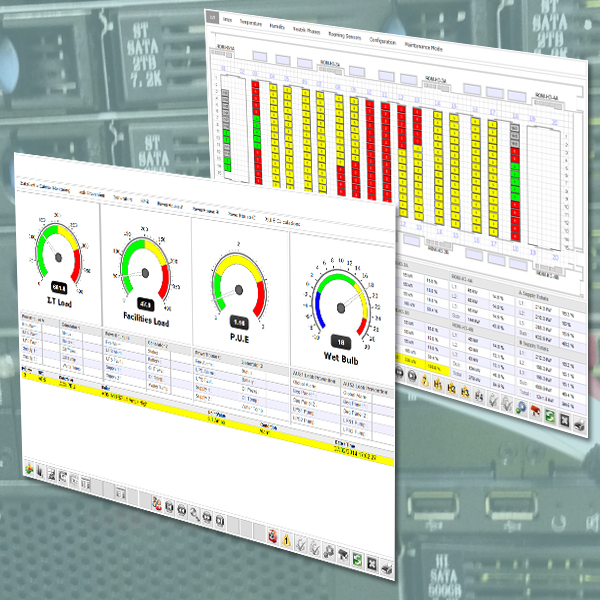 The Sensorium™ DCIM solution is a modular Data Centre Infrastructure Management system built around web components that enables the building of bespoke customer, department or operator focused dashboards and home screens. The Sensorium™ DCIM solution delivers unrivalled performance thanks to its 64bit .NET architecture enabling expandability from the smallest comms room to the largest campus or mega centre. Sensorium’s flexible communications architecture enables this DCIM solution to integrate monitoring system data for peerless integration. Sensorium™ harnesses the power of the web and thanks to its web components, use of industry standards and protocols, provides a truly bespoke, yet cost effective Data Centre Infrastructure Management platform to match your needs. With a powerful reporting engine, users have the ability to produce real-time and historical reports which coupled with regression analysis can be of real benefit when planning data centre efficiencies. Users have the ability to drill down into each individual piece of plant / hardware and retrieve real-time or historical values. The modular nature of Sensorium™ system web components makes building bespoke dashboards and home screens possible. 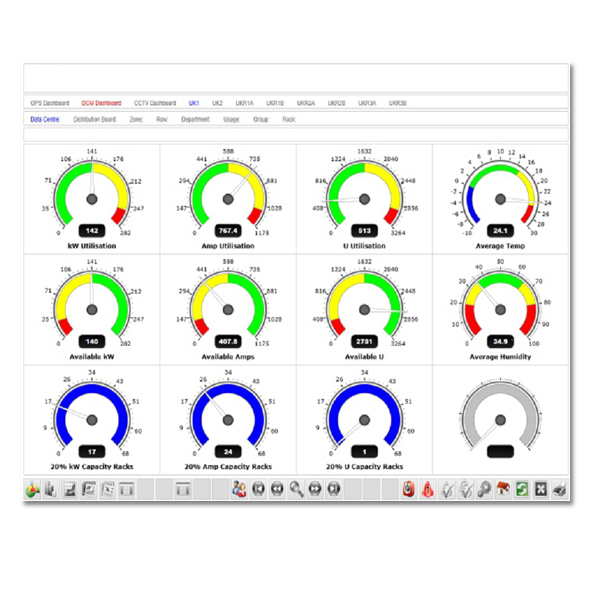 Dynamic icon floor plans display both the physical location, operating and alarm status’s of the data centre cabinets using a traffic light red, amber and green system to indicate whether the current value breaches customer adjustable thresholds for the selected metrics. The Sensorium™ real-time communications web component can display live data from multiple sources on a single screen, regardless of the protocol or data format of the source information. 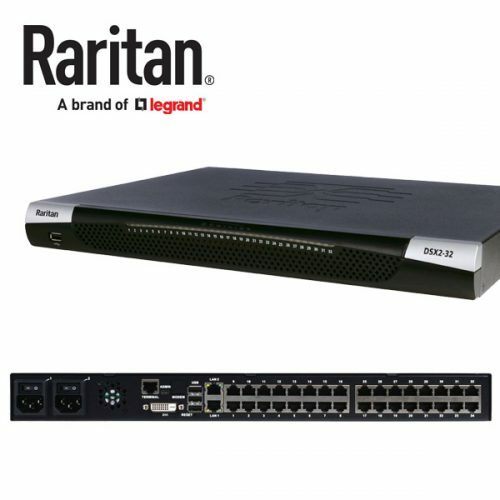 Display data from intelligent PDUs alongside temperature, humidity, access control and CCTV system data. Cabinet population and asset register information is displayed alongside real-time and historical power usage. Sensorium’s internal asset register database can also be integrated with third party asset register data sources to share information adding functionality to your existing asset register solution.